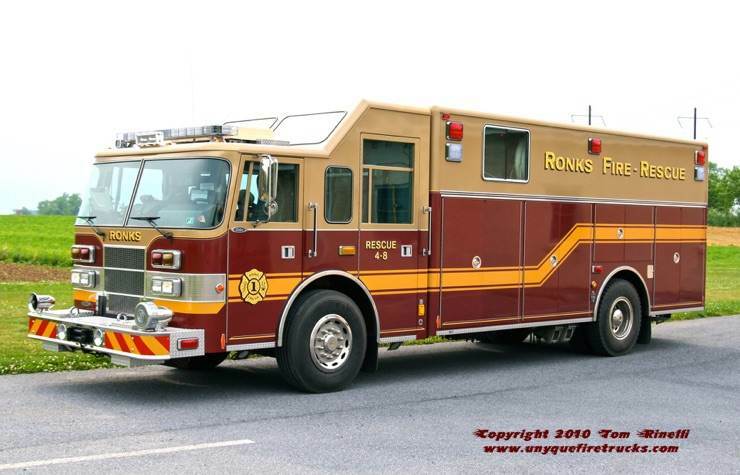 Ronks operates a very active Rapid Intervention Team - in an effort to “keep their crew fresh”, they assign one FF to this “rig” for hauling their full complement of RIT equipment to the scene. 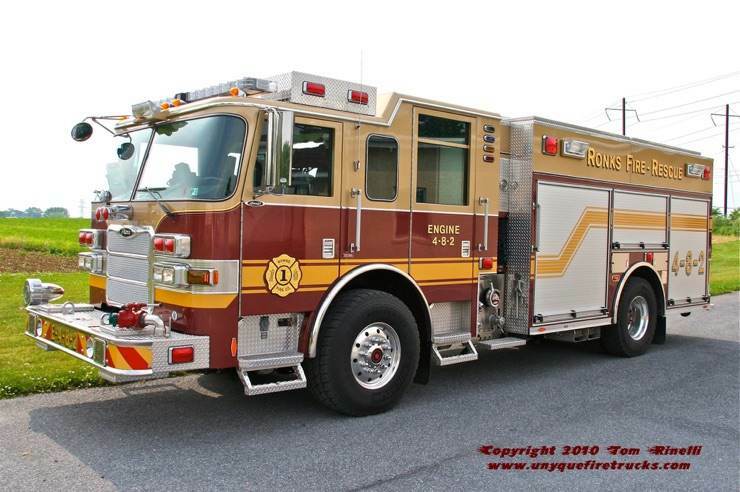 Used for traffic control & utility purposes, this rig was donated to the fire company by the chief’s employer. 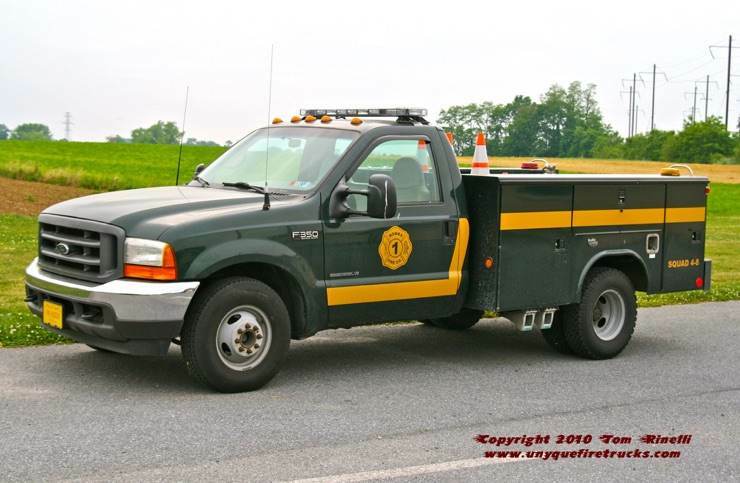 This rig has since been replaced with a Ford pick-up outfitted with a skid unit. 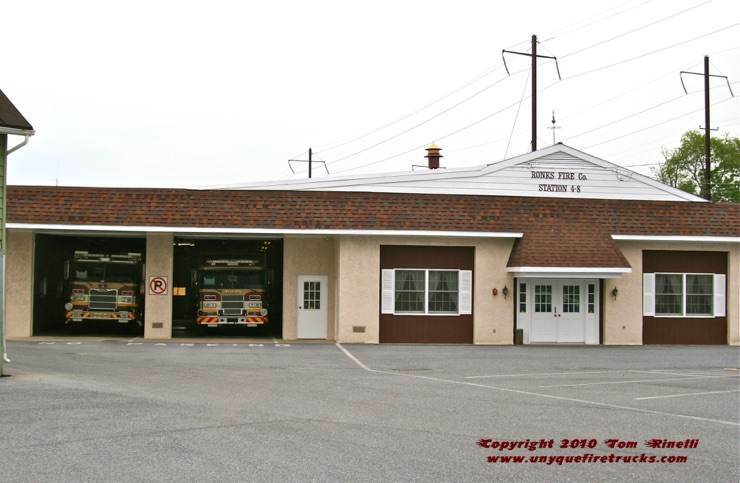 Ronks operates a rescue engine, heavy rescue & mobile cascade truck from this two bay firehouse. Equipped with ten 6,000 PSI cylinders, it features a walk-in compartment with an explosion proof fill station. This rig’s equipment complement was upgraded in 2010 with the addition of a Hurst mini-Simo pump powering a combi-tool and two rams (donated by Lafayette FC), (2) 12 ton bottle jacks, (3) come-alongs and a 10 ton porta-power. 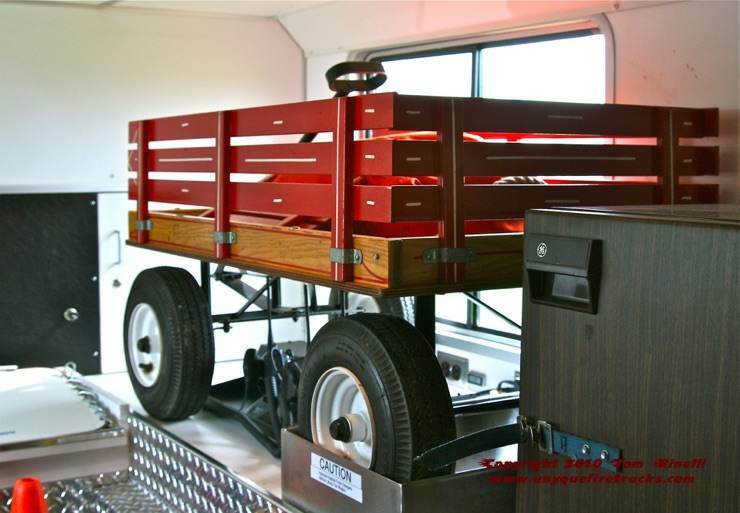 For stabilization, it is equipped with large polycarbonate cribbing (donated by Paradise-Leaman Place FC), (2) rescue struts as well as (48) cribs/wedges. 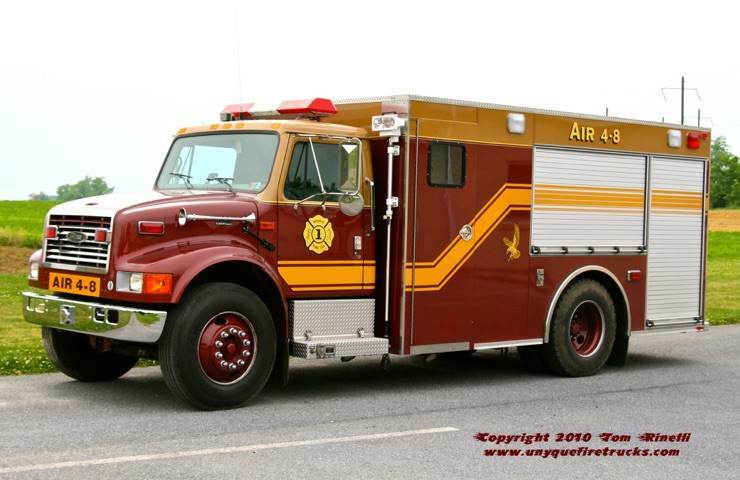 Operating as one of only three rescues in Lancaster County Zone 4, it is equipped for a variety of operations including RIT (the company’s specialty). It features a 25kw PTO generator, 6,000 watt light tower, five reels (electric/air) and a 12,000 pound winch. It’s equipment complement includes Hurst high pressure extrication tools (stationary & portable), airbags, (8) rescue struts, water/rope rescue gear, a plasma cutter, oxy-acetylene cutting torch, 1.5 and 3 ton come-alongs, 5 & 20 ton bottle jacks, air chisels and a total of five saws with wood, metal & concrete cutting blades. For firefighting, it is outfitted with eight Scott SCBA, three RIT bags, two thermal imagers, positive & negative pressure ventilations fans and a total of 6 extinguishers. Engine 48-2 - 2009 Pierce Arrow XT PUC 1500 gpm/1000 gal. Operating as a rescue engine, this rig is equipped with a Hurst Simo pump powering a combi-tool and cutter, a 50 ton airbag system, rescue struts, an air chisel, reciprocating saw, 1.5 ton come-along and BLS medical equipment. For firefighting, it features six SCBA with spare cylinders, a RIT SCBA, three ventilation fans, a vent saw, three portable master stream devices, four 13’ sections of suction hose and a total of 3,600’ of attack and supply line (ranging from 1” forestry to 5” LDH). Special thanks to Captain Brian Clark for assistance in positioning the rigs & providing background information on the department and its’ operations. 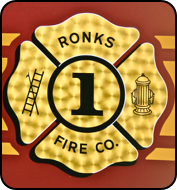 Serving both East Lampeter & Leacock Townships, Ronks provides Fire & Rescue protection to a primarily Amish farming community. With a roster of 35 active members (about 3/4 from the Amish community), the company responds to an average of 150 alarms including mutual aid RIT support (their specialty) to 10 neighboring departments.